No, I’m not about to confess my sins , but I did think long about sharing. 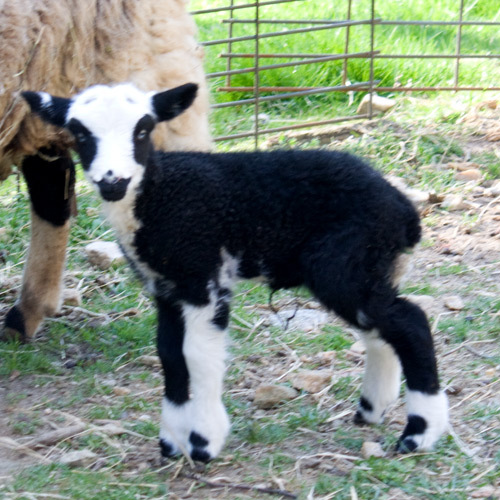 Since I’ve always believed it’s important to show pictures of all my flock and all lambs and since I appreciate those breeders that do the same, I couldn’t do less than present…. Scrumptious blue eyes, beautiful easily sorted yummy fleeces, delicious, appetizing, tasty and abit unexpected. I answered my question when I read your blog. At least it will be easy to separate the white from the black! Thanks for sharing Linda. I WHOLE HEARTEDLY AGREE about sharing photos and information. Knowledge is indeed power. 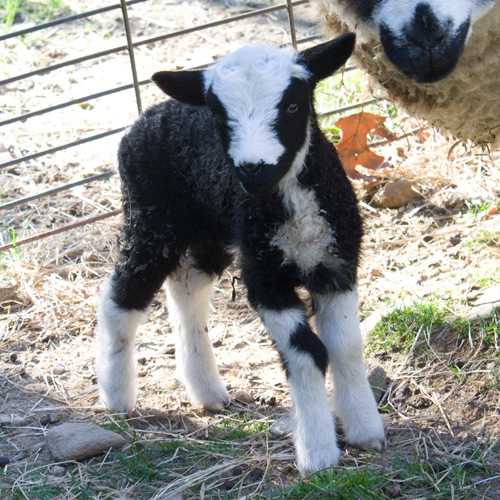 The fleece onthese lambs is gorgeous, looks like ink, jet black ink. Wow! I love It! I had to laugh, sorry. Davis thought it was a Holstein sheep. Oh, well, he’s cute! They are adorable 😉 Thanks for sharing! I would be tempted to keep them until their first shearing, lol.